Javelina are members of the peccary family. There are actually three species of peccaries that range from the Southwestern United States south to central South America. The only species found in the United States is the collared peccary, or javelina. In Texas, the javelina is found in the more arid or semi-arid parts of the state, with most occurring in the South Texas brush country, the Trans-Pecos’ desert grasslands, and the Edwards Plateau’s oak-juniper woodlands. Javelina travel in small herds or “family groups” and seem to have a somewhat limited home range. In the winter, they are generally active in the early morning and late afternoon. Javelina are largely nocturnal during the hotter times of the year. They feed primarily on cacti (particularly prickly pear), mesquite beans, mast, fruits, and insects. They also love deer corn and can be found around deer feeders all over South Texas. Javelina have long held an undeserved reputation for ferocity. With their poor eyesight, they will often remain around humans longer than other wildlife when startled. When cornered, they can defend themselves very effectively with sharp canine teeth or “tusks”. Many dogs have been crippled or killed when trying to attack javelina, yet aggressive encounters with humans are rare. Charging javelina are often mistaken as attacks when in fact, the nearsighted animals are merely trying to escape. When it’s in the direction of a hunter, rumors of attacks aren’t uncommon as the javelina pops his jaw loudly and ferociously in an attempt to warn away potential predators. They often sleep in caves, and cave like areas throughout the daytime. In Texas, the javelina is classified as a game animal and may be legally harvested with a hunting license, during hunting season, in counties which have a season. The typical bag limit is two animals per year. 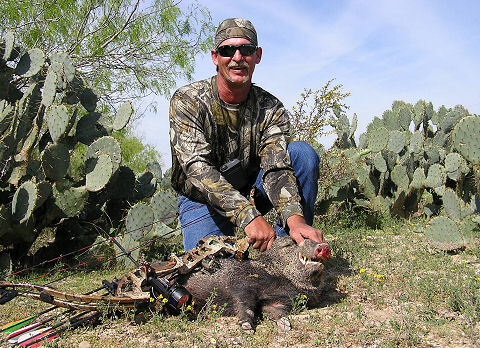 Feral hogs often share the same habitat as the javelina, so it’s not unusual to find a combination hunt for both. 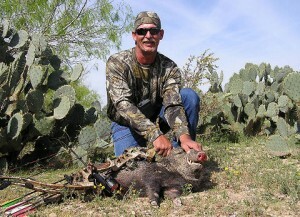 Join DeerTexas.com to find Texas hunting leases for javelina. 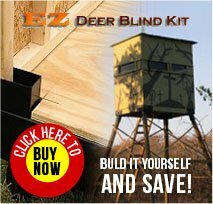 We have deer leases available with javelina included and special day and package hunts for them as well.